In 2008 Singapore had the honor of hosting the first night-time event in Formula One history. The inaugural Singapore Grand Prix proved a huge hit, staged on a new street circuit, with the city’s famous skyline providing a truly spectacular backdrop. The atmosphere around the flood-lit circuit is infectious. 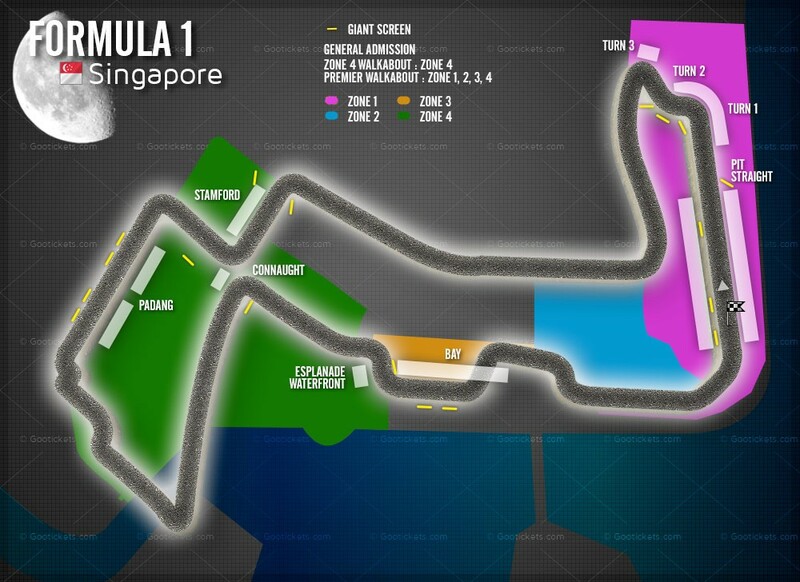 Utilizing public roads around the Marina Bay area, the track includes fast straights as well as plenty of overtaking opportunities. The 5.065km race track will see drivers battling each other over 61 laps with a total distance of 308.828km, tackling the likes of the Singapore Sling and Memorial Corner. Whilst the drivers concentrate on the track, spectators can enjoy the sight of the cars flying past the city’s landmarks, including City Hall and St. Andrews’ Cathedral. With the track being based right in the city, it offers the opportunity for F1 enthusiasts to really make the most of their time in Asia, by getting out an exploring all Singapore has to offer. The Singapore Grand Prix is more than just a motor race- it is envisioned to be a national festival, and one that presents many opportunities for participation for everyone, both visitors and Singaporeans alike. Practice and qualifying sessions take place on Friday and Saturday, with the Grand Prix following on Sunday night.